With this breeding, I wanted to make sure Mama saved her best for last and that we sent her out really leaving her mark on the bully world prior to retirement. We don’t breed pretty dog to pretty dog and hope for pretty puppies and we don’t breed big dog to big dog and hope for big puppies. We always have a plan and a vision before we do any breeding. Not only do the dogs have to physically match up, the breeding also has to make sense on paper with the pedigree. Some people breed on pedigree alone, while others breed on the dogs without thought of the pedigree. 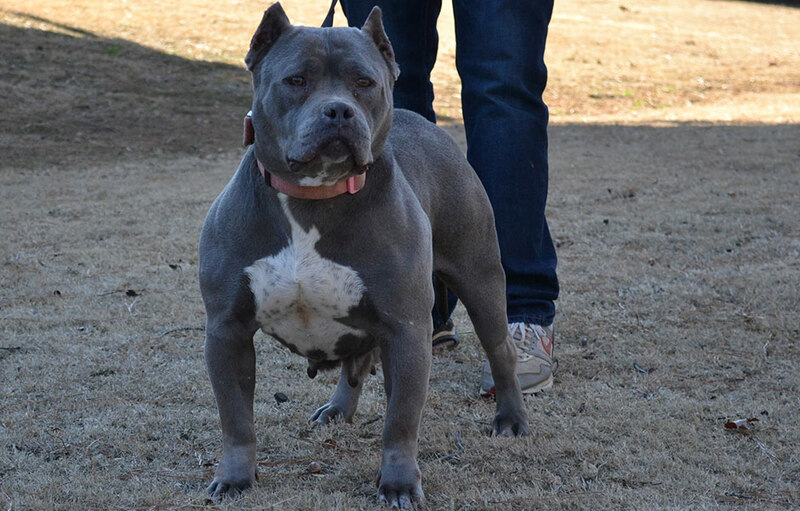 Here at Atl King Pits, the stars have to align for the breeding to take place. We put equal emphasis of the pedigree and the individual dogs, when contemplating making a breeding. So although this breeding was planned way in advance, Vegas had to mature and live up to the dogs behind on his pedigree. Now that Vegas is near full maturity, we are thrilled to say that he has more than lived up to what is on paper. 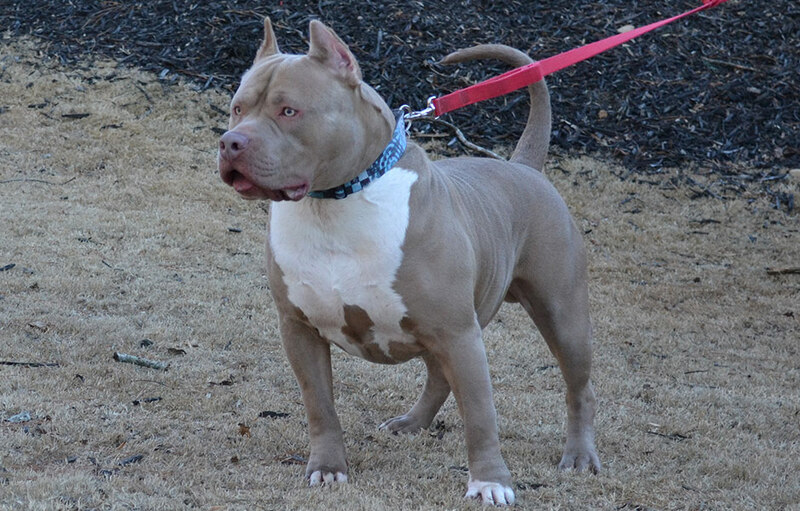 This will be the perfect line breeding, and we look for a consistent litter with Killer head pieces, a phenomenal muscle tone, and great structure/conformation. Most importantly, the temperament will be well balanced.